SnapChat will soon offer behavioral targeting options to its advertisers, according to an eMarketer report referenced by BusinessInsider. SnapChat Director of Revenue Operations, Clement Xue, said in the report that SnapChat was going to launch behavioral targeting capabilities by the end of September. The behavioral data likely to be offered will be based on who a user follows, especially industry specific interests, such as a certain type of music entertainer. Record labels could then use that data to reach a more likely consumer of a singers music they represent. 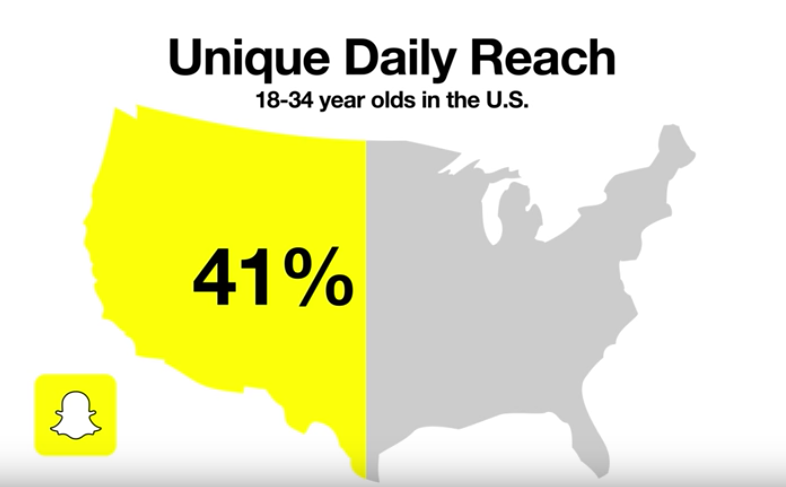 Advertisers already have data from SnapChat related to the age, gender and geo location of users, so behavioral data will simply add to the mix. In order to make their behavioral data more robust SnapChat will have to obtain web browsing data which they have already made the first moves toward by introducing a “Login with SnapChat” button on its recently acquired Bitmoji Keyboard app. This could be the beginning of SnapChat becoming another login option, similar to the Google or Facebook login’s seen all around the web and apps. This would give SnapChat a tremendous amount of behavioral data beyond the small amount that is usable based on in-app follows. The eMarketer report “projects 58.6 million US consumers will use Snapchat at least once per month in 2016.” This equates to 28.3% of US smartphone users and 18.1% of the entire US population, which is nearly double the use estimated only 2 years ago. eMarketer is predicting that this kind of growth will continue over the next 4 years.